In just about four years, what started as a platform based in Dhaka has now expanded to other cities in Bangladesh. 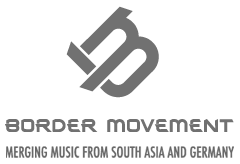 The Bangladeshi diaspora also remains an integral part of the movement, adding new, interesting flavours and dimensions to the sounds. And today, it looks like Dhaka Electronica Scene is taking shape as a community for all of Bangladesh – extending beyond borders and cities – building a space that is striving to look for the ‘Bengali’ sound that reflects upon its political, social, economic narrative through time. 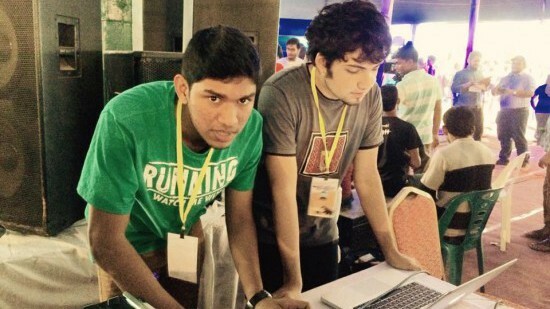 The electronica scene in Bangladesh has had a lot to boast of in the past year: new workshops and programmes tailor-made for various demographics, a new chic radio show called Planet Electronica; sound and music technology ventures into public arts, installations and other genres; and more than 5 record labels dedicated to various genres under the electronic umbrella. All of these elements act as precursors to the birth of a sustainable electronica industry in Bangladesh. So naturally, this is a list of firsts. This time, we are honoured to be able to feature artists from 4 different cities in Bangladesh: Dhaka, Chittagong, Khulna and Gazipur. The list is somewhat skewed towards fresh young producers, still in their teens and more excitingly, this list also features two young female producers for the first time who deserve their place for pushing their way through an otherwise male-dominated scene. After Cadenced Haven aka Laila moved to the Netherlands last year, there were no more female producers to be seen in Bangladesh. But Tabassum aka Tin Whiskers and Futurehood are a breath of fresh air. Influenced by artists including Futurehand and Amon Tobin/Schohmo, their sound is promising and fresh despite the lack of technical finesse. Naiem is another NRB producer, multi-instrumentalist and young talent who is heavily influenced by Bollywood – in a good way. Based in the US, Naiem got a deal with Yash Raj Films Studio and collaborated with Bollywood singers Kavita Seth and Penn Masala for his single “Bliss” whose proceeds went to charity and got a Times of India feature. He is also producing his own brand of vocal heavy melody based electro pop. Madman’s Vault is a talent born out of Border Movement’s Sound Lab in Dhaka around two years ago. He was probably the only wildcard entry for the 5 day residency. Originally a drummer from a dysfunctional rock band, Raiyan Ahmed realized that he could do so much more without having to worry about getting along with others. It took him less than a year to become a fine producer from no experience at all. His track ‘Terminology 1’ opened the last Akaliko compilatiom ‘Nyurutsu’. While his production subtly shows off his drumming skills, his serious, down-tempo sounds give a nod to his heavy metal influences. He was recently part of Chicken Soup, which also consists of Space/Ghost and Humayan. Signed to Akaliko Records, he is currently working on his first EP and was also part of Kaaktalio Studios for the public art installation “Ether“. Producer, photographer, multi-media specialist – Audiomimic is a name associated with many skills. His main focus is to innovate lounge music by emulating the old gold into new. Audiomimic aka Ehbab is based out of Toronto, Canada and has been producing for quite a few years now. Similar to Naiem, his production focuses on melody and has a strong pop feel to it, however, it’s hard to pinpoint his style as he is making music which clearly has a wide range of influences. His track ‘Favela Jazz’ and his rework of pop artist Armeen Musa’s track demonstrate his versatility as he shifts from a downtempo-ish vibe to full on radio friendly house music. ‘Amaro Porano’ is definitely the first trance treatment of Rabindranth’s music. Even today in Bangladesh Rabindra singers have a fierce loyalty for his music in its original form. In such a scenario, Zaaed is the brave heart. Not surprisingly the remixed track was hugely popular wherever it got played. Aspiring and confident, Zaeed wants to add a “Made in Bangladesh” tag on the trance music he produces and he seems to be on the right path. Yes, we like to keep track of our doctors and this one is the third in the DES community. The first to hail from Gazipur, his minimal techno influence is evident in his production and his sets are unsettlingly German-influenced. Soft spoken Arif knows how to introduce techno to a crowd that have never been exposed to new sounds. I don’t think I can forget how boldly he played a techno set at the University of Dhaka’s TSC Auditorium, an iconic venue for Bangladesh’s student and academic history. His track ‘Immune Host’ is a preview of his upcoming LP. 20 year old Shahrar comes from Chittagong and started out by rapping in the Chittagonian dialect, which is quite distinctive from Bangla. Pursuing his bachelors at Nashville, he’s become a well rounded artist who has the potential to make a mark as an electronic music producer with his unapologetic nod to Bangla pop. Sinin is an outlier. The first electronic music producer featured by DES from the southern city Khulna is also an avid graphic designer and promoter. Last year, his die hard passion led him to build a community called Electronic Harmony Khulna (EHK) in cooperation with DES to promote electronic music in Khulna. Sinin is heavily influenced by retro techno, psychedelic and the Berlin scene. As a result, his sounds are captivating, original and refuse to be infiltrated by the mainstream bombardment of dance music. It’s quite fascinating to see a school-going teenager produce such distinctive sounds from a city where electronica is still so obscure. He has been gearing up to collaborate with local rock bands in Khulna. Also signed to Akaliko Records, Sinin is currently doing homework to produce a sci-fi audio play. Zayan was discovered by Border Movement contributor Kerry Harwin in a detailed review of one of his remixes. The producer is a part of the duo Bedheadz and is signed to Electro. His sounds are largely influenced by future house and UK garage. While he predominantly chooses to entertain people with upbeat tracks, Zayan remains determined to grow as an artist and is exploring sounds across genres ranging from chillstep to trap. His growth as a performer began with gigs alongside KADIN as the duo Bedheadz. Bedheadz’s first major breakthrough came with their performance at Closeup Vault, which was a well designed rave like event (which also featured pop acts and couple of bands sponsored by a multinational conglomerate). Currently, Zayan is working on a number of future house and tech-house releases. Kadin takes the top spot with his ambitiously fine sounds and passion. He is also the other half of Bedheadz and signed to Electro. His growth has been synonymous with Zadin’s as they have ventured into performances and new sounds together. Kadin stands out with his solo production and spirit. He is also an aspiring writer and founder of the entertainment page, Goats of Bangladesh. Together with Fahad Zaman and other young producers, he is launching new initiatives like ‘Bloom’ to nurture a culture of sharing and learning among DES. We’re interested to see both Kadin and Zayan develop and continue their experimentation until they really establish their unique signature sound. There is no doubt about their talent; a little mentoring experience will take them places. The new DES compilation is almost knocking at the door and we recommend readers to keep their eyes peeled for the release which aims to showcase the best of Bangladeshi electronic music produced by the old and the new.